Our goal at Sunday School is to provide a safe and loving environment where children, of all ages, find and love God, explore His Word, build relationships with His family and discover their own God-given uniqueness. We offer classes for preschool through High School. 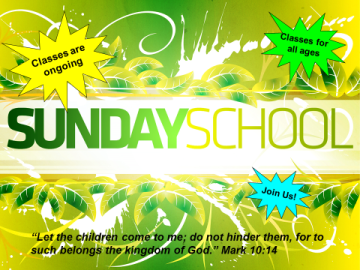 We begin each Sunday at 10:00am.